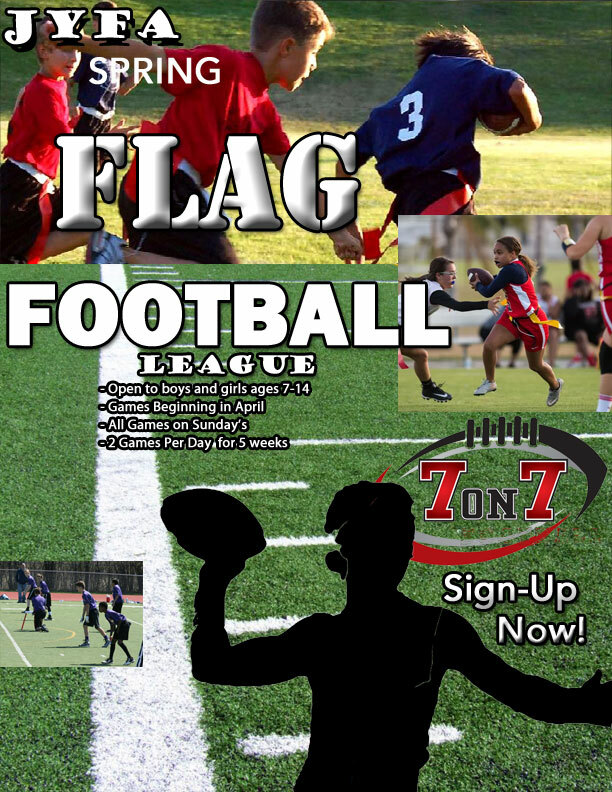 JYFA is excited to offer flag football and 7on7 football in the spring. Whether you are looking to explore football in a safer way or wanting to hone your skills, JYFA's Flag and 7on7 league is a great option. Flag is available for 7 through 11 year olds, while 7on7 is available for 12 through 14 year olds. Games begin in April so please keep an eye on this page and contact your loacal area for more information on how to sign up for this exciting league.